Recommendation: A charming documentary about one of the last followers of the Alfred Lawson's political and philosophical movement Lawsonomy. While it contains almost no mention of Detroit as such, it provides a lot of insight into the history and philosophy of the movement. The film runs 93 minutes long, and is composed entirely of interviews and documentary material. While this film's reason for existence is Alfred Lawson and Lawsonomy, the focus and heart of the documentary is Merle Hayden, a friend and student of Lawson who joined Lawson's Direct Credits Society as a teenager during the Depression, and who as a 90-year old is one of the few remaining advocates for Lawson's ideas. The film does a good job of exploring the history and ideas of the DCS and the Lawsonomy church, as well as the scandals and splits which lead to the decline of the organization, but focusing there would miss the broader story of the documentary. The film shows how Merle's participation in Lawsonomy both gave his life direction and meaning, and in many ways kept him separated from people who loved him. Seeing all of the small victories and sudden tragedies in Merle's life make what he has accomplished in preserving Lawson's work for future generations deeply affecting. Production quality is very high, and as is the case in most documentaries these days the film is carried almost entirely by interviews and source materials, with the director and crew staying out of sight. 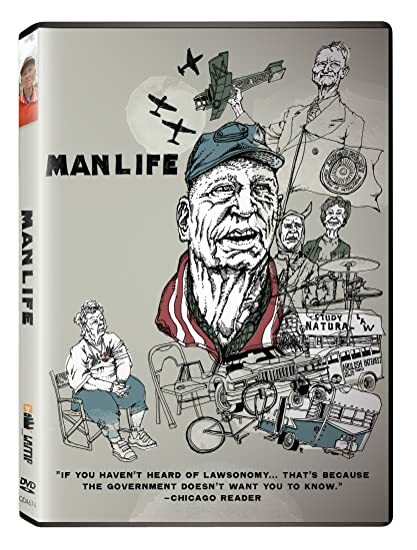 This film is absolutely worth watching for anybody captivated by Lawsonomy, and it stands up on its own merits as a biography and character study of Merle and the folks he has gathered around him.